I used to do a lot of technology and games journalism, largely for Imagine Media, before it became Future Publishing. But I also worked at IGN for nearly 10 years and was a co-founder of IGN Entertainment. Dead. Defunct. Forgotten in the mists of time. Two gaming pubs I worked on, primarily creating interactive CDs. 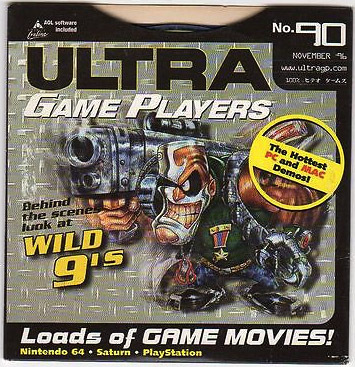 But also covered games, especially ones from Microprose and the WipeOut series on PlayStation. Before it was MacLife, it was MacAddict, the Mac magazine with attitude. And I wrote for it, mostly video and photo editing and screenwriting software reviews with the occasional “how-to” feature.